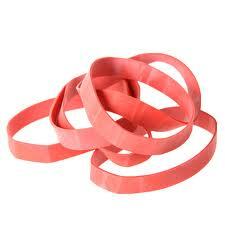 Amazing how a rubber band will return to its shape time and time again. 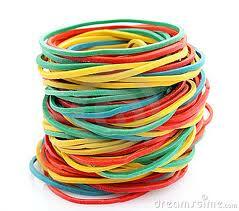 A rubber band comes in all colours and sizes, thick or thin, large or small…. 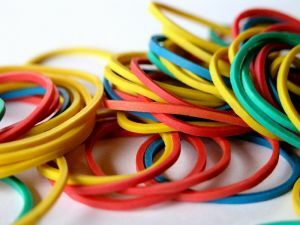 Stretch it out, use it to bundle together letters, wind it the top of an open bag to seal it, use it to tie up hair, flicked from the end of fingers or rulers by children of all ages – so many uses for such a simple strip of rubber. Such resilience….but eventually they do snap or break. 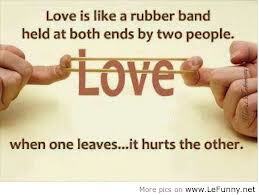 Sometimes there are a series of events in one’s life where the emotions go all “rubbery”. Some could say “pear shaped” but I prefer the simile of the rubber band because it implies that you can stretch yourself towards achieving something worthwhile. The last few weeks have been a series of challenges and the emotions have been stretched right out, then back to everyday tasks and then quickly stretched again. As my work revolves around stress management, I wonder if I can claim the hours put into these challenges as work experience or continuing education points! I am using the tools that I give to my clients for myself and am finding that most of the time I can remain centred. Stretches # 1, 2, 3, 6 & 7 revolve around my aging father. 91 (and a half), his health has started to deteriorate. Noticeably so after his brother in law in the UK passed away just a few weeks prior. I thought it was grief; unresolved grief residual from Mum’s death. He began to get chest pains and had to be taken to hospital twice by ambulance. The first visit didn’t resolve anything and the medico’s decided to try him on medication for the heart, which would increase the dizziness he was experiencing. The second trip, this time to a different hospital would reveal that he had pneumonia, according to the xrays taken. Fiercely independent, he wanted to be discharged and I promised the emergency doctor that he would be followed up by the GP. More tests – blood and sputum showed no indication of infection, so he went for a CT scan. By this stage, we were having daily visits to various medical establishments and I was using the time productively to catch up on some professional reading, which I probably would have continued to put aside if I was in the office. Late to the next GP visit – it actually cut the waiting time down to 15 minutes instead of 50, the doctor was unusually serious. The CT scan had revealed what is most likely to be lung cancer and thought to be secondaries from his previous bowel cancer. After hearing the diagnosis, he discussed how he wanted his funeral to go and his last wishes. The following days, he lost his appetite even more and took to his bed on the weekend, whilst still stubbornly insisting that he will be able to look after himself without help. Stretch #4 was unrelated to my Dad. A beautiful weekend. A warm Spring day and visitors were over for a BBQ and dip in the pool. My husband likes to potter around the house and garden and although the solar heater had been taking the chill of the water, he thought he might light the big gas heater and give it a little help…. The pilot light was out and he had several goes until the gas lit. As it lit, he singed his hair, eyebrows and burnt his arms. He’s stubborn too… standing with his arms in the laundry sink full of water and smelling of burnt hair, didn’t want to go to the doctor. Even with wet towels wrapped around his arms, still saying he didn’t want to go….. I reckon I’m just as stubborn and I put the bucket in the car, drove him to the nearest emergency department where he was treated by a bemused doctor. The second hospital emergency department in one week for me to visit. Arms finally bandaged, he looked a bit like a mummy in progress, although by Monday he had taken the bandages off because they were irritating him. Stretch #5 has been a long stretch. Not as long as it could have been though. Our son’s ex-girlfriend texted him a photo of her ultrasound at 21 weeks. At least we only had 20 something weeks to wait. She went into labour on the Monday morning and I picked my son up from work and drove him down to the hospital. He stayed, the phone went flat just as she had started to push, so no more news. Update: A girl – 4040gms. (8lb 14oz) and the baby & mother visited Dad on Friday before his transfer to the hospice. Stretch # 6 was the visit of the prodigal son. My brother often comes to Melbourne, rarely visits my Dad since he relocated from Perth 6 years ago. Dad’s anxiety rose as the time got +nearer and he asked me to be there as well. My brother arrived, with his daughter. Although she has been studying in Melbourne for the last 2 years, she had not yet been to visit. Stretch #7 was the rapid decline of my father. Another hospital visit and another return home, this time with strong pain medication to help him. I spent the following day sitting in his unit checking up on him from time to time. Some great conversations with him regarding his transition. He had been seeing colours, ranging from red, white and blue (“very patriotic” he said) to purples and reds and some warm yellows and orange. He was feeling the presence of my mother and felt like others were popping their heads around the door to call him. We talked of his readiness to go and how every so often he thought he was going, only to be called back at the last minute. He felt he had something to tell me, that was on the tip of his tongue, only to be forgotten at the last minute. His mind remained sharp only to cloud over, in spite of the analgesia, whenever he moved. Eating little, but drinking enough to moisten his mouth every so often, he became quite gaunt. As the day progressed, he dozed on and off, sending me to check his mailbox for news as to whether he had won the Reader’s Digest sweepstakes. He was worrying about how to share it best amongst the 2 families!